All around the world people will be celebrating Software Freedom Day on Saturday. The idea is of course to both celebrate and raise awareness of Free Open Source Software issues. Free Software Foundation is probably the heart of the Free Software movement which is defined by Richard Stallman’s Four Freedoms. A program is free software if users have all of these freedoms. Thus, you should be free to redistribute copies, either with or without modifications, either gratis or charging a fee for distribution, to anyone anywhere. Being free to do these things means (among other things) that you do not have to ask or pay for permission to do so. These revolutionary concepts, like any good idea, have crossed over into other areas, such as copyright. As corporations work to lock creative works under increasingly restrictive copyright law, creators of art and music, like creators of software before them, have been offered the chance to achieve freedom from the chilling effects of the repressive copyright through Creative Commons licensing. Creative Commons licensing is growing. There are branches around the world, like our Creative Commons Canada, which allow creators to license their creations in the way that they want in conjunction with their own country’s copyright law. Tomorrow I’m hoping to attend the Software Freedom Celebration being put on by KWLUG and Kitchener-Waterloo Chapter of Ubuntu Canada and the the Working Centre being held in Kitchener’s Kwartzlab hackerspace. Visit the Software Freedom Day website to find out what cool Software Freedom Celebration is happening in your neck of the woods. We’ve all joked about how evil Windows is for years. And now Apple seems to be striving to be the Big Brother their ads used to decry. Is it any wonder that more and more people are switching to GNU-Linux operating systems? I’m in the process of switching to Ubuntu, which is currently the most popular distribution. But there are scads of them out there. The ones I can name off the top of my head are Debian, KDE, Fedora, Linux Mint, Red Hat and Arch. 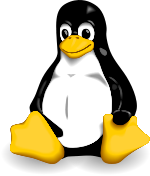 Naturally Wikipedia can give you a more comprehensive list of GNU-Linux distributions. The safest bet is to select the distro that whoever gives you computer support knows best. Identi.ca is a free software microblogging service, based on the StatusNet software. It is possible to connect Identi.ca with the proprietary Twitter service and the data flows into Twitter, but, being proprietary, Twitter does not share well. (For this reason people like me who use both services tend to post from Identi.ca, simply broadcasting to Twitter. The problem for me has been that replies from Twitter don’t reach me, although switching from Windows into the Ubuntu free software operating system allows me to use Gwibber to connect the two services. Because the software is open, people can set up their own StatusNet servers to precisely serve their needs. In a world of 140 character limites, URL shortening is important too. You can’t go wrong with ur1 generator. The cool thing is that even when your URL is shortened, hovering over it in Identi.ca allows you to see where the shortened URL will take you. TechRights is an excellent resource on breaking free software issues. Following Dr. Roy Schestowitz on Identi.ca or on Twitter keeps me up with the latest. I almost forgot Techdirt, which mosr certainly means I’ll have missed some other great sources. If anyone has any I’ve missed that I should have added, let me know! Both my personal blog and my Oh! Canada blogs seem to have an increasing number of copyright themed posts creeping in as well. This entry was posted on September 17, 2010 at 2:47 pm	and is filed under Changing the World. Tagged: (freedom 1), 2010, ACTA, Against Monopoly, ArchLinux, art, Canadiana, CLUE Canada (The Canadian Association for Open Source), Creative Commons, datalibre.ca, Digital Copyright Canada, Digital Economy Act, Dr. Roy Schestowitz, Electronic Frontier Foundation, Excess Copyright, fedora, FLORA.org Community WEB, Free Software, freedom 0, freedom 2, freedom 3, Freedom Now, Glyn Moody, gnu, Gutenberg Canada, Gwibber, Identi.ca, Internet Archive, Jesse Brown's Search Engine, kde, Kitchener-Waterloo Chapter of Ubuntu Canada, Knowledge Ecology International, Kwartzlab, KWLUG, linux, Linux Mint, Michael Geist, microblogging, music, Oh! Canada, Open Attitude, Project Gutenberg News, Public Knowledge, Question Copyright, Red Hat, restrictive copyright law, Richard Stallman, Saturday September 18, software, software freedom day, StatusNet, TECHDIRT, TechRights, the four essential freedoms, The Free Software Definition, The freedom to distribute copies of your modified versions to others, The freedom to redistribute copies so you can help your neighbor, The freedom to run the program for any purpose, The freedom to study how the program works and change it to make it do what you wish, The Software Freedom Law Center, the Working Centre, Through the Looking Glass, twitter, ubuntu, Wayback Machine, wikipedia. You can follow any responses to this entry through the RSS 2.0 feed. You can leave a response, or trackback from your own site.